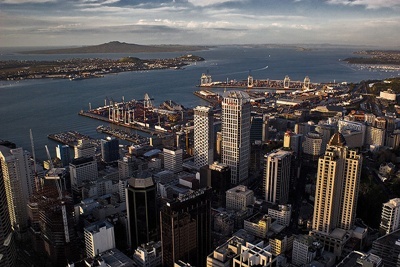 Auckland was the former capital of New Zealand. Considered as the biggest city in the country, Auckland is home to many breathtaking attractions, scenic beaches, and islands worth visiting. It is referred to as the City of Sails because of the numerous marine craft that visit its harbor. The Maoris, the indigenous people of New Zealand calls it “Tamaki Makau Rau,” which literally means a maiden with a hundred lovers, mainly because it has been fought over for because of its rich natural and water resources. Auckland experiences warm and coastal weather with no extreme temperatures. It is considered as one of the sunniest places in New Zealand. Rainfall reaches up to four feet during and an average of 137 days throughout the year. It has many restaurants and cafés and the cuisine is as diverse as its population. There is also wide range of locally produced wines. In the center of the city, you will find ethnic restaurants and shops more particularly, Asian-style eateries. You can experience adventure and fun in Auckland by sailing in the harbor and bungee jumping off Auckland Harbor Bridge. You can also do some horseback riding along the beach shores or play golf. You can also experience the greatest trill by Sky Jump and Skywalk in the Sky Tower of Auckland. 1. The Sky Tower. An observation and communications tower standing at 328 meters tall. It offers adventure activities such as Sky Jump and Skywalk which will provide you with the greatest heart pounding excitement as you visit Auckland. 2. Auckland Botanic Gardens. It offers beautiful garden paths and various plant species from all around the world. 3. Auckland Museum. The cultural and spiritual reference point for New Zealanders. If you wish to take a look at the rich culture and history of the people, this is an amazing place to get a glimpse of their amazing natural history and cultural performances. 4. Stardome Observatory. Reach the universe in five minutes by visiting the Stardome Observatory. This is a 360° planetarium where you can lie back and experience the universe in comfort. 5. Great Barrier Island. A remote island that is a perfect vacation spot where you can spend the day on the beach: diving, fishing, surfing, and sailing. You can also relax with the beautiful and spectacular landscape. 6. Butterfly Creek. It is considered as one of New Zealand’s most colorful attractions. It houses exotic butterflies and several species of birds, fishes, and reptiles. I was just wondering in visiting Aucklands city and in the places to visit it has no. 6 Butterfly Creek. It is considered as one of Australia’s most colourful attractions.. Since when was Auckland in Australia????? Its New Zealand’s or Oceania’s most colourful attractions. Please fix this typo error. Ummmm, Australia? Auckland is in NZ. Whoever wrote this seems to not be aware of Geography at all.